As one of the fastest growing communities in Pennsylvania, Chambersburg is the perfect blend of culture and energy nestled amid small-town charm. It also has a strong medical presence, with plenty of permanent placement openings for physicians through Summit Healthcare. So why should you consider practicing medicine and putting down roots in Chambersburg? Read on. Residents benefit from a safe, clean community that is ideal for raising a family, and proximity to Baltimore and Philadelphia promises opportunities for exciting day trips. Chambersburg maintains strong economic growth and an enriched Civil War history. The town is well-equipped with activities to satisfy every interest, from arts and culture to outdoor recreation. Boasting fine dining in a casual atmosphere, this restaurant is known as the “House of Prime Rib,” offering a variety of delicious dishes, from the land to the sea. Looking for a peaceful café to polish off paperwork or finish that book? Take advantage of the complimentary WiFi and relaxed atmosphere—not to mention the perfectly brewed coffee and specialty soups and sandwiches. Check out this family-run fine-dining restaurant and event venue. With a 500-person capacity ballroom, it’s no surprise that The Orchards has been the number one event space in the area—25 years strong! Create your own donut… say what?! It’s true, this unique shop creates made-to-order donuts from their tasty assortment of toppings and glazes. If you’d rather play it safe, they also offer over a dozen specialty items guaranteed to bring you back for more. True to their slogan, “French inspired, American made,” Bistro 71 offers a wonderful variety of appetizers, salads, and entrées. Well-suited for business meetings and special occasions, the bistro boasts fabulous service and an ambiance that keeps diners returning. Tucked along the northernmost section of the Blue Ridge Mountains, the park’s bountiful acres are ideal for hiking, swimming, hunting, golfing, and camping. Built in 1818, the old jail survived the burning of Chambersburg in 1864 and is now dubbed a “treasure trove of history.” Some of Chambersburg’s most integral roots are revealed throughout jail tours, which are carefully crafted into a storytelling experience. There’s something for everyone at this 1927 historic theatre, which features live shows, concerts, productions, and movies. Whether golfing, dining, or vacationing, you’ll find this beautiful resort fully equipped to satisfy your needs! Gettysburg is rich with history; there’s so much to do, you’ll have to visit more than once. Eat authentic food, sleep in a restored inn, and discover over 25 museums and resort attractions. Tour the battlefields, bike, or even horseback ride through 5,700 acres of field. 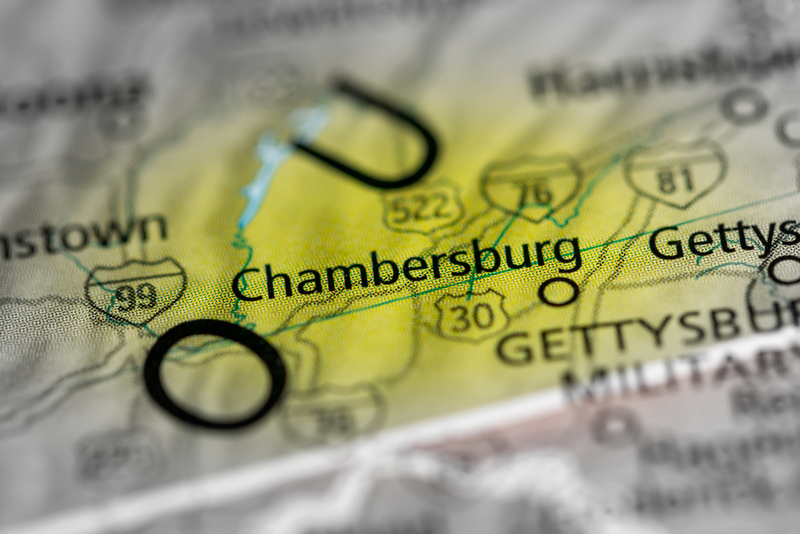 Interested in learning more about permanent opportunities in Chambersburg? Contact Shantel Gomez from Optimum Permanent Placement Services at 603.732.0663, and check out our blog for the latest news and other helpful information.